Co-owners of Jerry’s Auto Repair, Jerry and Karen, first met while attending WSU. Since opening their first business in 1977, Jerry and Karen have remained local and loyal to Pullman, WA. Their first automated drive-through car wash, Raindrop Car Wash, was a big success and they grew to operate Jerry’s Downtown Chevron station on Olsen Street. Throughout their experience as business owners, Jerry and Karen learned what it took to become successful leaders, not just of their own business, but of their industry. 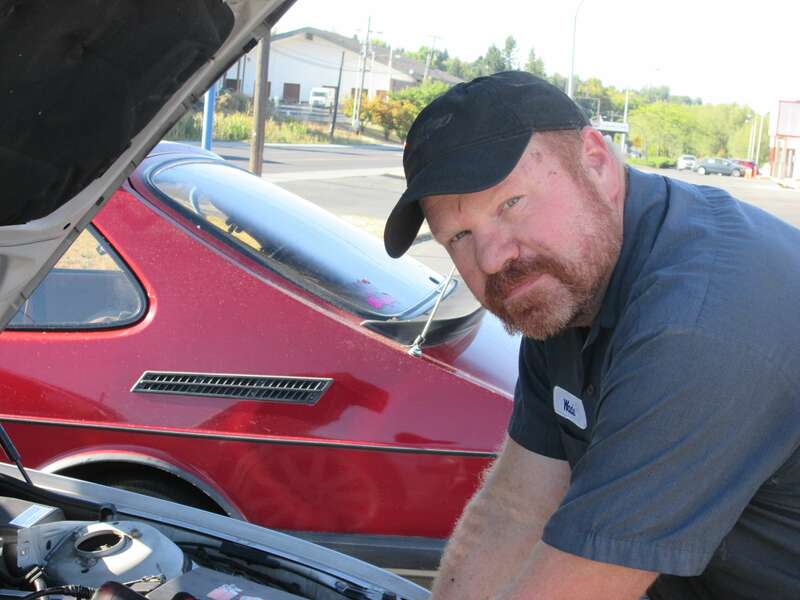 Today, Jerry’s Auto Repair on South Grand Avenue in Pullman, WA is the area’s most awarded auto repair business. Jerry and Karen’s dedication to excellence shines with every service. Jerry’s Auto Repair has years of experience in the industry providing the best customer experience possible for every person that enters their shop. From high quality auto repairs to a well-functioning team of technicians, we provide everything you need in a trustworthy auto shop. We know that every little moment matters, so we take the time to focus on each customer while they are here. Your experience with us is important, and we do everything we can to make it exceptional. 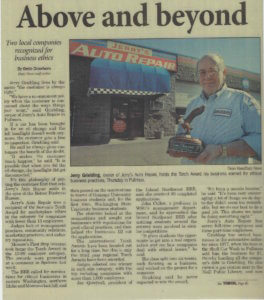 But Jerry’s Auto Repair is also focused on the future. We are invested in our ASE Certified technicians as mechanics and as people. Our supportive environment helps all of our employees succeed to their full potential. We continually train our techs to stay ahead of industry standards and to better serve our customers. The team at Jerry’s Auto Repair continually exceeds the highest standards of professionalism, honesty and cleanliness in our shop. Our dedication to quality helps us stand out among our competition. •We are a AAA Approved Repair Facility and warmly welcome our AAA members. •We have earned an A+ rating from the Better Business Bureau (BBB) and are the only auto repair shop in Eastern Washington, Idaho and Montana to earn their award for marketplace ethics. Jerry’s Auto Repair is a proud recipient of multiple awards honoring our dedication to quality auto repairs and customer service. We guarantee your complete satisfaction with your auto repair or maintenance service at Jerry’s Auto Repair in Pullman, WA. We work on most US, Asian and European-made vehicles. Whether you drive a car, truck, SUV or van, our team can help it to meet its full potential in performance and power. We confidently guarantee the work of our qualified technicians with a competitive, nationwide warranty. No matter where you are in the United States, your parts and labor are covered. 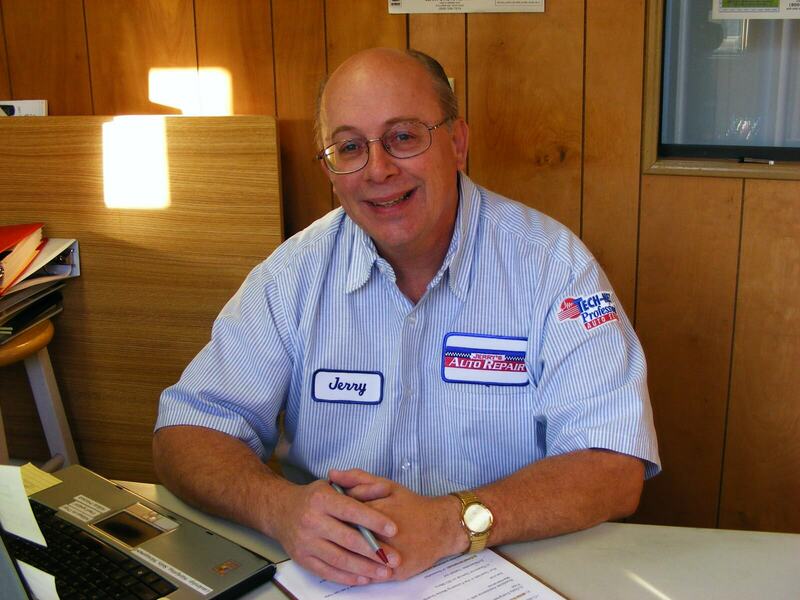 Jerry has over 51 years of experience with auto repair and maintenance. His first car was a 1956 MG Magnette 4 door sedan. Jerry and Karen have 4 children and 2 adorable grandchildren. He likes music, drumming, reading, and walking his dog Daisy. He loves the Southwest Chicken Salad at Zaney’s in Lewiston. Karen has been doing the books since Jerry and Karen began their first business in Pullman at Raindrop Carwash in 1977. 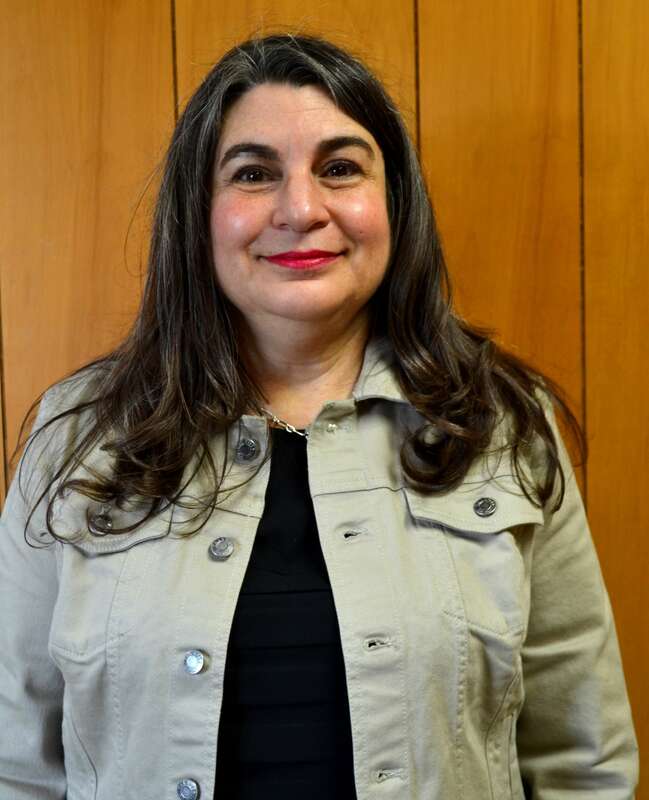 Karen is mom to 4 children and grandma for 2 wonderful grandkids. She loves crafts, decorating, gardening and anything that involves the grandkids! Her favorite food is the Pasta Salad at South Fork. 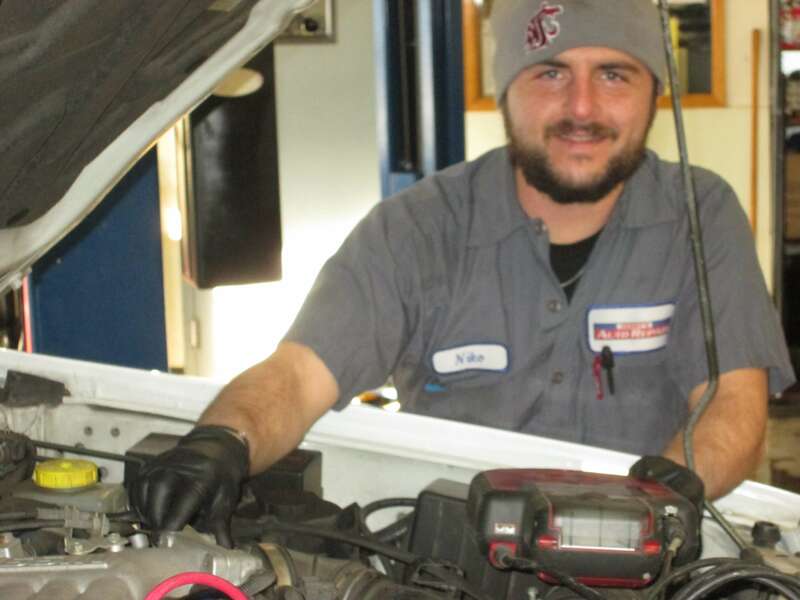 Nik has over 14 years experience working on U.S., Asian, and European cars and trucks. His first car was a 2008 Volkswagen GTI. His dog Bentley comes to work with Nik each morning and stays at the shop until the end of the workday. Nik loves motorsports, racing, shooting and taking Bentley to the dog park. His favorite dish is the Chicken Plate at Black Cypress. Wade has over 34 years experience working on U.S., Asian, and European cars and trucks. His first car was a 1968 Chevrolet Camaro. He loves hiking, mountain biking, and custom car and truck building. He loves the Cougar Mac and Cheese at South Fork. Bentley was abandoned as a very young pup and left on the doorstep of a vet clinic. Nik adopted Bentley and the two have been inseparable ever since. Due to his age Bentley has a little over 1 year experience at Jerry’s Auto Repair. Right now Nik is his only family but he assumes that every customer that comes to Jerry’s Auto Repair is a part of his own personal pack. Bentley likes sniffing, barking, rolling, running and afternoon naps. His favorite games are tug-of-war and fetch/keep away. He likes chewing on his bone and romps at the dog park with Nik. His favorite foods are the dog biscuits at the Daily Grind and MacDonalds french fries.